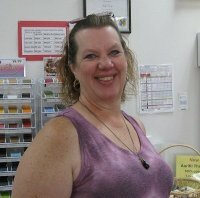 Store Owner....JUDY started BERNINA/ Stretch & Sew Fabrics in April, 1972 as a Stretch & Sew dealer and has been a BERNINA dealer since April, 1981. 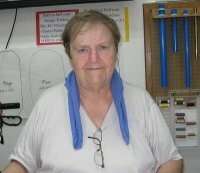 If there is anything to know about a BERNINA Sewing Machine, Judy knows it--she bleeds BERNINA! 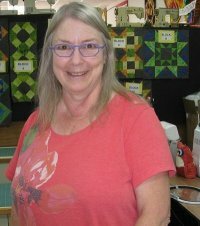 Judy's focus is to make sure every BERNINA owner gets as much pleasure from their machine and other BERNINA products as she does. 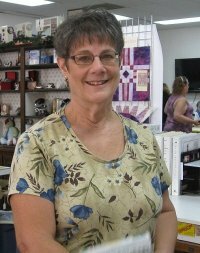 Store Manager ....Joan has been with BERNINA/ Stretch & Sew Fabrics for 39 years. She is very talented and does most of our displays. Embroidery is her "thing" as you can see by most of her garments. She is great with machines, sergers or software. Kathy has been sewing since age 5. She's been involved in costuming for the theater for the last 40 years. She loves making things fit! Kathy takes care of our website and digital media. Cheryl does the signs and helps everywhere we need her.